4 Most Wicked War Machines of the 20.th Century! Some of the greatest innovations throughout the human history have been made in the military field. However, many of them were never deployed, and others soon faded into the forgotten realms of history. 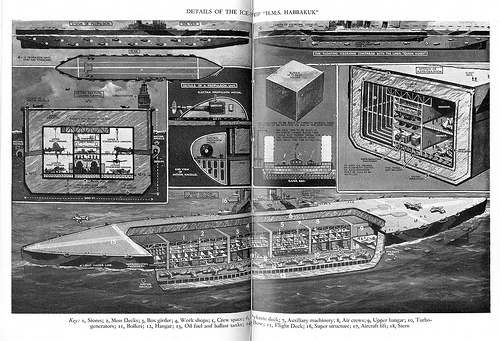 Here is a quick rundown of 4 strangest and most wicked war machines ever devised, both real and envisioned ones. This gigantic cannon, designed by german artillery engineer Fritz Rausenberger, and manufactured in Essen, weighed about 256 tonnes without its special steel chassis. It was composed of 85 feet long 210 mm-caliber barrel, which was inserted in caliber 380 mm “Long Max” cannon(previously used as naval gun). Cannon was so long, it had to be supported by special steel framework to prevent unwanted bending. It was designed to shoot projectiles weighing about 94 kg to the distance of more than 90 miles. During their 170-second flight, they reached speeds up to 3,600 miles a hour, and altitudes of about 25 miles. That makes them first man-made objects to enter stratosphere. Although the Paris Gun was a masterpiece from technical point of view, it didn’t show up as really effective weapon. 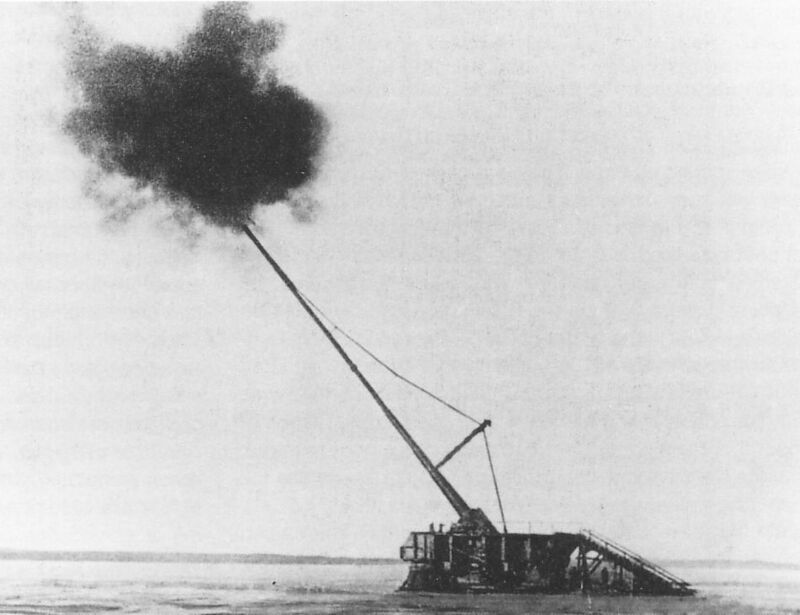 It’s aim was very limited, it was operated by crew of 80 men, and its barrel could withstand only about 65 separate shots. In addition, specific shell had to be used every time the gun fired. Shells were numbered, and each of them was a little bit bigger, to fit into widening barrel. Only about 350 shells were ever fired from the cannon to the city of Paris, with average daily frequency of 20. They caused around 250 deaths, and 620 injuries. At the end of First World War, cannon was transported back to Germany and subsequently destroyed. During his research in aerodynamics, Austrian physicist and also member of the Austrian Nazi Party Mario Zippermayr(1899 – ?) came to a conclusion, that heavily pressurized whirlwinds have a capability of destroying or severely damaging enemy aircraft. After he managed to break 4-inch strong piece of wood from the distance of 550 feet, he was allowed to construct a gun large enough to shoot Allied fighters down. 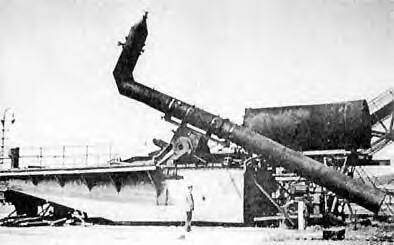 Zippermayr’s team managed to build two anti-aircraft whirlwind cannons. Specially shaped nozzles served to direct pressurized whirlwinds, produced by explosions in cannon’s combustion chamber. However, first tests soon showed that cannon was unusable. Whirlwinds produced didn’t reach even close to altitudes, where Allied aircrafts commonly operated. Although Mario Zippermayr soon tried to increase the cannon’s range, war ended before it was fully operational. Allied forces managed to capture one of the cannons in Sachsen-Anhalt, and the second cannon was destroyed at the end of war during its transportation to Frankfurt. Tsar Tank, also known as the Bat Tank(Netopyr), was an unusually-shaped armoured vehicle originally developed for the Imperial Russian Army. This three-wheeled vehicle was designed in late 1914 by Russian engineers Nikolai Lebedenko, Nikolai Zhukovsky, Boris Stechkin, and Alexander Mikulin. Tsar Tank significantly differed from modern tank design, using tricyclical design. Its two giant front spoked wheels were about 27 ft(9 m) in diameter, however, the back wheel was only 5 ft(1.5 m) high. Each of two large wheels was powered by a 190 kW(250 hp) Sunbeam engine. The main turret of the Tsar Tank reached height of more than 24 ft(8 m), two smaller turrets were located on the sides, and other two under the main framework. The vehicle received its nickname(netopyr = bat) because with its back wheel pointing upwards, it allegedly resembled a bat hanging while asleep. 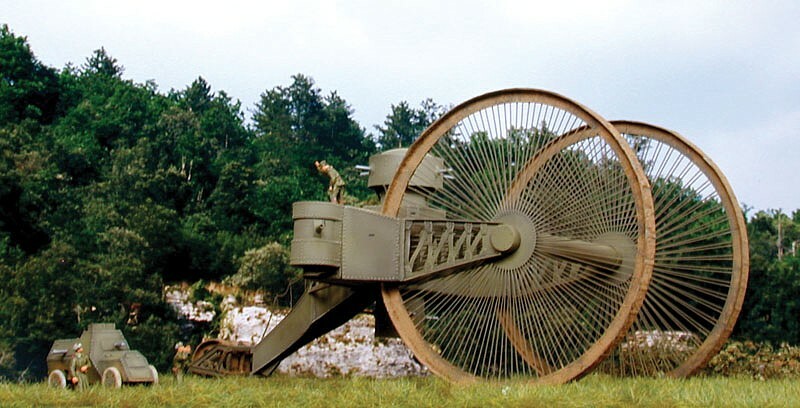 The huge wheels were included to cross major obstacles. However, during the first experimental tests of the tank, its small back wheel became stuck in the muddy ground, and the front wheels were insufficient to pull it out. Tsar tank remained stuck in the same location, about 40 miles from Moscow, until year 1923, when it was finally towed away and disassembled. During Second World War, the British planned to build a gargantuan aircraft-carrier out of pykrete (a mixture of wood pulp and ice). Idea of building a ship from this material was first conceived in year 1942 by Allied engineer Geoffrey Pyke, and subsequently expanded by British Admiral Lord Mountbatten. Habbakuk was designed to be more than 1950 feet long and 330 feet wide, in comparison, Prelude FLNG, largest ship ever built, is 1601 ft long and 243 ft wide. Ship was planned to be composed from pykrete, a frozen mixture of 86% water and 14% wood pulp. Its 35 feet wide walls were designed to be refrigenerated from inside by strong cooling fans. Habbakuk was designed to be propelled by 28 giant screw propellers.I ts crew was to be composed of 3590 men, including more than two hundred aircraft pilots. Although Pyke managed to build a working 60-feet long model of the ship, project was soon abandoned due to enormous expenses required for the construction of such a ship. 5 Strangest Weapons of the 20.th Century! Throughout the 20.th century, people have devised a wide variety of exceptionally destructive and effective weapons. However, many of them were never deployed, and others soon faded into the forgotten realms of our history. Here is a quick rundown of 5 strangest weapons ever devised in last 114 years. Bat bombs, codename ”Project X-Ray”, were one of the many experimental weapons developed during the World War II by the United States. Originally designed by Lytle S.Adams, a dentist from Pennsylvania, it was approved for military use in January 1942. The bomb would be composed of a large casing with several compartments, each housing several Brazilian free-tailed bats. The bats would have a small, timed napalm bomb attached to their bodies. After the bombs would be dropped from bombers, the casings would open, releasing the bats to the open space. At dawn, all bats would then hide inside the attics of Japanese buildings, ignite, and set them on fire. Because most of the buildings in WWII Japan were composed of bamboo, wood and paper, they were especially vulnerable to fires. By March 1943, Louis Fieser, inventor of military napalm, designed one ounce(28 g) incendiary bombs, lightweight enough to be carried by the bats. Each bomb was designed to contain 40 bats, and it was estimated, that one B-24 bomber could carry more than 100,000 bats, each equipped with a small napalm bomb. Bomb was succesfully tested in August 1943, on a mockup of Japanese village built in Utah. Results showed that the Bat Bomb was about ten times more effective than conventional incendiary bombs, starting much more fires on a significantly wider radius. First military use on Osaka Bay in Japan was scheduled to be carried out in July 1944, however, it was soon cancelled, because the development of Project X-Ray moved too slowly. Originally developed by the British at the height of the Second World War, dart bombs were designed to shower enemy soldiers with thousands of poisoned darts, made from sewing machine needles. bringing death in few minutes. In February 1942, military scientists showed the project to Singer Sewing Machine Company, and asked them to provide the needles. Military strategists in wartime Britain believed, that massive amount of small darts, each weighing just 0.1 ounces (4 g), could be significantly more effective against enemy soldiers on open field than bombs or poisonous gas. 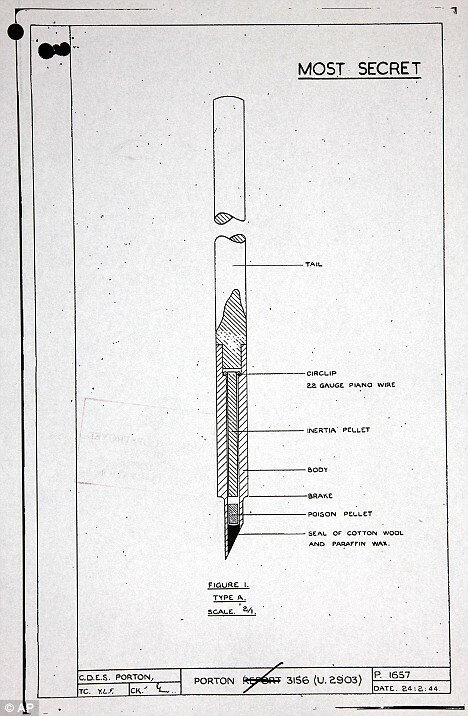 According to approved design, each bomb would contain more than 30,000 zinc darts, each equipped with a paper tail and containing a small amount of poison in its hollow section. If it managed to penetrate into the flesh, it would cause death within 30 seconds. If removed, collapse would occur within five minutes, and death within 30 minutes. When tested on sheep, they were rendered unconscious within one minute, and died within 10 minutes. Effects of the poison included acute diarrhea, salivation and heavy sweating. The research was abandoned in early 1945, because the poison dart bombs were considered highly uneconomical and unpractical, in addition, enemy soldiers could completely protect themselves from the darts by taking cover. Before few decades, the United States and Russian armies have found a surprising new animal to exploit for military means – a dolphin. In the United States, dolphins have been allegedly serving in the Navy more than 40 years, being part of the Marine Mammal Program. Used during the Vietnam and Iraq Wars, these highly intelligent mammals were trained for detecting, locating and marking of marine mines, and also suspicious enemy divers. The U.S. Navy never trained its dolphins to or injure or kill humans in any way, or to carry weapons of destruction.In the past, they have allegedly saved more lives in open water than specially trained rescue teams. About 75 dolphins are currently serving in the United States Navy Marine Mammal Program. However, Russian military is also known for ”employing” dolphins for military purpose. In the past, Russian military dolphin program was believed to be abandoned in early 1990s, however, recent reports suggest otherwise. In contrast with relatively peaceful purpose of these cetaceans in U.S. Navy, Russians are known for training their dolphins to lay underwater mines, kill enemy divers using harpoons, or even to destroy ships and submarine methods kamikaze-style using explosives. On March 2013, a group of dolphins armed with harpoons allegedly escaped from a Ukrainian naval base in Sevastopol, in search for suitable mates. Fortunately for everyone swimming in the Black Sea, they returned back after few days. After Hitler’s invasion to Soviet Union, a new and ethically dubious strategy was deployed by the Russian Army as an attempt to halt the advancing Germans. Dogs equipped with explosives were released to disable or destroy enemy tanks – and also themselves during the process. These dogs, usually German Shepherds, were trained for carrying bombs on their backs under enemy tanks, where they were then detonated. At first, they were starved, and then dog food was placed under the tank, training them to search for food there, while in the battlefield. 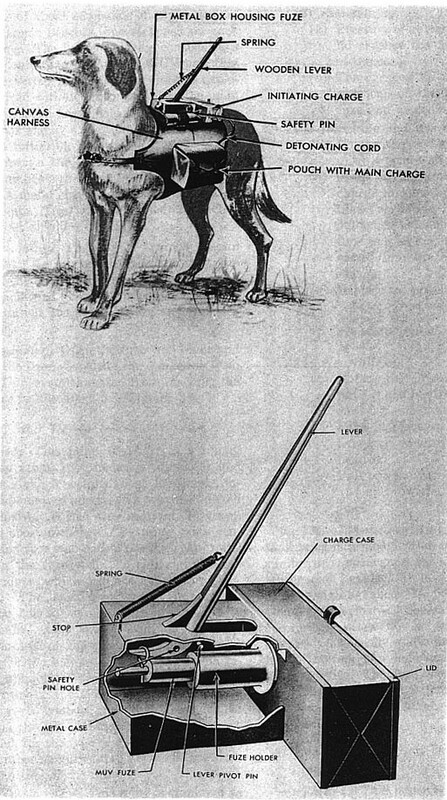 This idea was first developed in early 1930s by the Soviet army, and in 1935, anti-tank dog units were officially included in the Soviet Army. Although the original plan was to let the dogs to leave the explosives under enemy tank and then retreat, so that the bomb would be detonated remotely, this routine failed and was subsequently replaced by an automatic detonation procedure, blowing the dogs up in the process. There were several reasons that the first method didn’t work. To drop the bomb, the dogs had to pull a strap with their teeth, however, they often simply returned to their handlers without actually releasing the explosives. In addition, timers were too expensive at the time to be used practically, and also posed significant danger to the dog handlers. However, a much larger problem soon appeared; the dogs had been trained to run under Soviet tanks, not German ones. Because German tanks used a different type of fuel, dogs, accustomed to the scent of Soviet fuel, often turned around and destroyed the tanks used by the same army that trained them. While the Soviets were probably the most prominent users of anti-tank dogs, they were also trained in other countries, including Nazi Germany, Japan and the United States of America. Much more recently, anti-tank dogs were also unsuccesfuly used by Iraqi insurgents in year 2007. People don’t normally associate the slogan “make love not war” with the U.S. military. However, in year 1994 the Wright Laboratory of the U.S. Air Force proposed a research for the “gay bomb”, a special weapon designed to make enemy soldiers sexually attracted to each other. It was based on a idea, that a strong aphrodisiac or pheromone sprayed over or dropped on enemy troops could cause ”homosexual behavior”, leading to disasteful demoralization. Nonetheless, the gay bomb was never manufactured. Its main premise of homosexual behavior posing a major risk to the army morale and disrupting the military effectivity was homophobic and inherently flawed. In addition, the scientists soon found out, that so far, no such ”gay” pheromones had been discovered. The report from the Wright Laboratory also included many other strange ideas, such as covering enemy troops with strong bee pheromones, and then releasing large amount of bees in the combat area, and even a chemical weapon giving the enemy soldiers bad breath. For their attempts for creating a gay bomb, the Wright Laboratory won the Ig Nobel Peace Prize in year 2007.